A Land Rover made 2011 TD4 with 20000 kilometers,the owner described that the vehicle slow to accelerate when speed up to 80km/h.Here I share the guide on How to slove Land Rover LR2 slow to accelerate.Hope this article is helpful to you! * When the speed reaching to 80 km/h,the engine noise increases and acceleration is slow. Record the DTCs and try to clean DTCs directly,then drive car to test and found the trouble code 0238 was still exist. According to the test above,it most likely that turbocharger, turbocharger control module and its associated line fault. 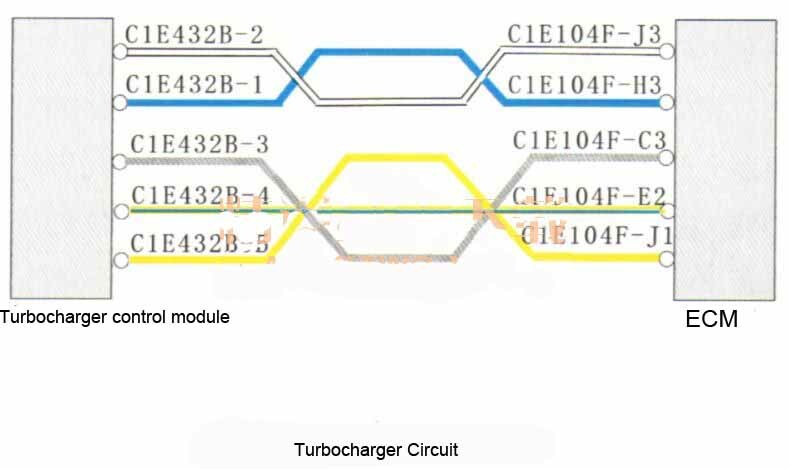 Consult the relevant circuit diagram (below) show that the turbocharger control module power by PCM. 1. And detect the voltage between terminal 5 and 4 of the connector C1E432B,it showed 12.94 V(normal). 2. And then detect the power supply of the built-in sensor of theturbocharger control module,found the voltage between terminal and terminal 1 of C1E432B is 5V (normal). 3. Detect the signal line of the sensor,the voltage between terminal 3 and terminal 1 of the connector C1E432B is 4.62 V.The singal voltage didn’t change when using hand to push connecting rod to make blades of turbocharger rotating. Above 3 point show that the turbocharger control module internal failure. 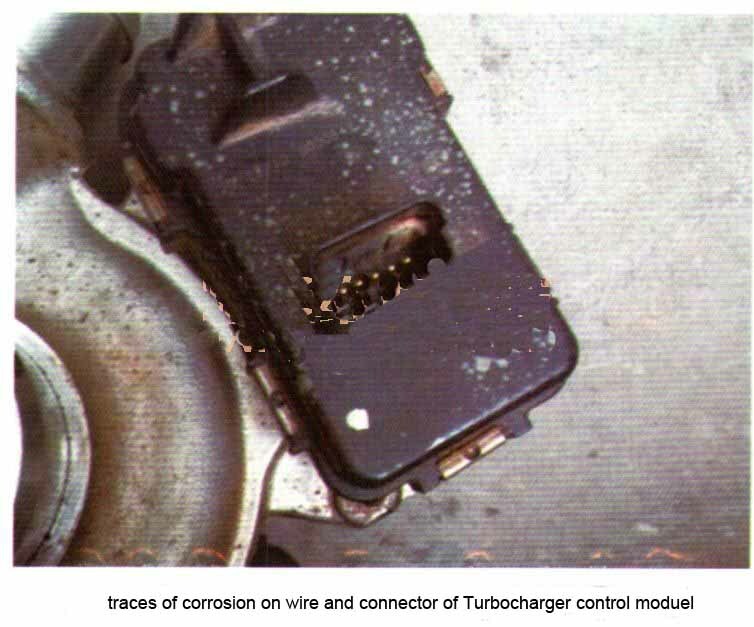 * Disconnect the turbocharger control module wire connector CIE432B,and technician found that traces of corrosion on the terminal surface.Test the car after cleanning the traces of the corrosion,the trouble was still exist. It is suspected that the turbocharger control module is poor sealing lead to internal water,then short circuit. Replace the turbocharger assembly then test car,found troubleshooting.